UP TO 760 workers made redundant by FG Wilson last month could benefit from a €500m EU aid package yet two Stormont departments appear to have backtracked on applying to the fund. However The Detail understands the DETI and DEL’s evasive answers on our questions about the European Globalisation and Adjustment Fund are because they don’t have access to the scheme; only the government at Westminster can apply on behalf of UK workforces – and it’s opposed to the fund on principle. 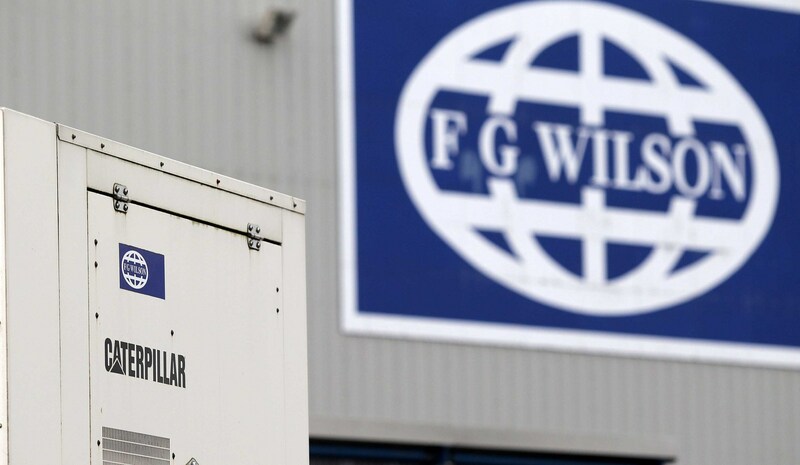 The lay-offs at FG Wilson represent the most severe single tranche of job losses in Northern Ireland in years. On September 13 engineering firm FG Wilson announced that it was making 760 workers redundant across four sites in Northern Ireland following a decision by its parent company Caterpillar to relocate production of 70% of the small generators it builds to China by 2014. 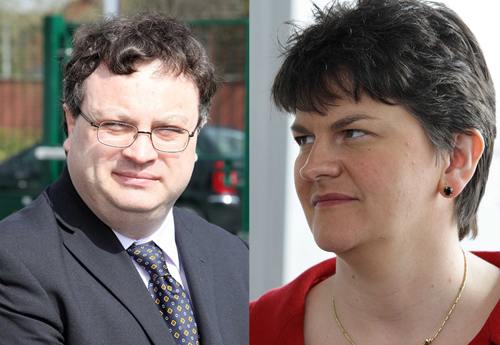 Following the job losses Enterprise, Trade and Investment (DETI) Minister Arlene Foster and Education and Learning (DEL) Minister Stephen Farry announced they would do all in their power to help the affected workers. As part of their recovery package the ministers pledged to investigate the possibility of availing of a €500m European Union (EU) fund which is specifically set up to help workforces who have been made redundant as a result of the global recession. In 2011 more than a dozen other European countries availed of £103m from the European Globalisation Fund (EGF), helping 21,000 redundant workers with job-search, careers advice and retraining. While the fund has never been used in Northern Ireland, it was used in the Republic in 2009 when £18.3m used to help 9,000 workers in Limerick who had been made redundant by the Dell computer company. EGF funding is only available in situations when more than 500 workers have been made redundant, with the individual government being obliged to match financial EGF funding affected workforce. Under UK law neither of the Stormont ministers could apply for EGF funding for FG Wilsons workers as only member states can apply for assistance; that means any such move would have to be made by Work & Pensions Minister Iain Duncan Smith within the coalition government in Westminster. On September 20, DETI minister Arlene Foster said that an application to the EGF was “under consideration” and would be considered first by the Stormont Executive and also the Department of Work & Pensions. During the same debate DEL Minister Stephen Farry repeated his cabinet colleague’s commitment to investigate the potential of EGF funding, when he said: “As has been said by the Minister of Enterprise, Trade and Investment, it is something that we are happy to consider and explore fully. “That certainly means discussions with the UK government, but I want to caution the House that, although we will give it consideration that does not mean that there will be no unintended consequences. “We want to be sure that it is something that we can deliver. “I do not want to unnecessarily raise expectations that there is a magic pot of money out there from which we can draw down. However Conservative Party opposition to the fund is well-known. It was first set out in a memorandum written by former Work & Pensions Minister Chris Grayling in November 2011, who publicly stated the government’s “principled opposition” to the fund. “The UK has not used the EGF in its current form and the government has a principled opposition to it,” he said. In July 2012 Mr Grayling went further, informing a House of Commons EU Scrutiny Committee that the UK government would not only attempt to block any attempt to extend the EGF fund post 2013 but would “work to limit the scope and eligibility criteria” for those seeking assistance of the fund. The Detail asked both DETI and DEL to explain how it proposed to make an application for EGF funding for FG Wilson workers when the British government – who must submit the application – are publicly opposed to the fund and refuse to allow it to be used to help redundant UK workers. We then asked DEL if it has as yet made any attempt to seek EGF assistance for FG Wilson workers – and again – how it hoped to secure financial assistance from the fund – given the UK government’s public opposition to EGF. A DEL spokesman responded, stating: “Through the department’s Redundancy Advice Service, the Employment Service works in partnership with the Social Security Agency, further education colleges, (Her Majesties Revenue Customs & Excise) HMRC and other agencies to provide advice on alternative job opportunities and mentoring, access to training courses, entrepreneurship, education opportunities and careers advice, as well as a range of other issues such as benefits and taxation. We then asked DEL for a second time to explain whether or not it had applied for EGF funding – and if so – how it had overcome the hurdle of the UK government’s opposition to the fund. DEL has so far failed to reply. Criticising the failure to make use of EGF funding for FG Wilson workers, Irish Congress of Trade Union (ICTU) Assistant General Secretary Peter Bunting told the Detail in a statement: “The revelation that the UK government has a ‘principled opposition’ to the European Globalisation Adjustment Fund means that there is a Tory veto on the future prospects of those workers from FG Wilson who are already facing redundancy and unemployment. Warning that financial assistance for the redundant workers was being sacrificed for the party political gain of the Conservative Party, he said: “There is a significant financial cost for devolved departments, such as DEL, to offer assistance and re-training to the hundreds of workers from FG Wilson and their local suppliers. “If they could use the EGF, half of the funding would come from the EU Commission, with matching funds from the Treasury. “Since the closure of the Seagate factory in Limavady in 2007, the ICTU has been lobbying ministers and MLAs on the OFMDFM committee, which scrutinises EU matters, to use the EGF to up-skill workers affected by ‘outsourcing’ and ‘downsizing’ as a result of globalisation and the ruthless pursuit of short-term profits by multi-national companies. “Too many global corporations focus primarily on the short-term interests of their impatient and greedy shareholders.